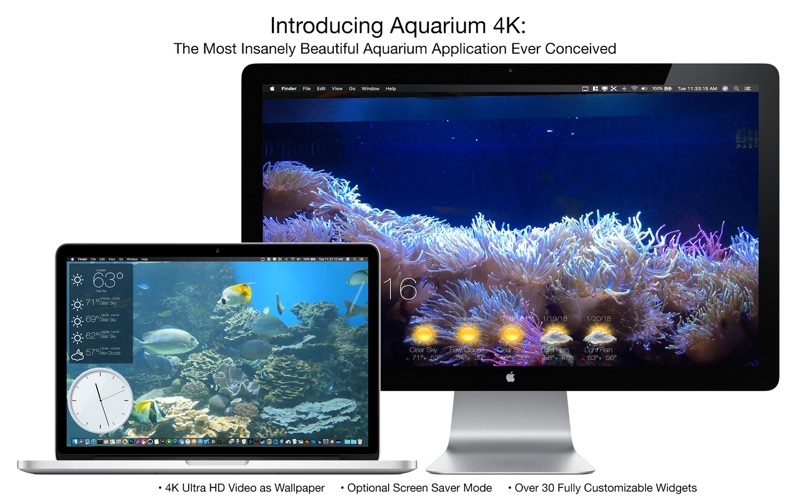 Introducing Aquarium 4K: The most innovative and insanely beautiful Wallpaper application ever conceived. 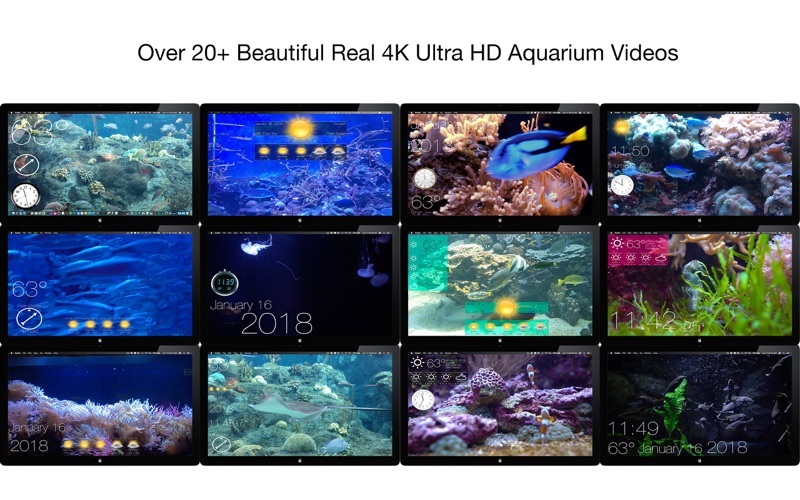 Aquarium 4K features over 20+ stunning themes, with each theme featuring breathtaking 4K Video and the most cutting-edge and beautiful Widgets ever to grace a Desktop! 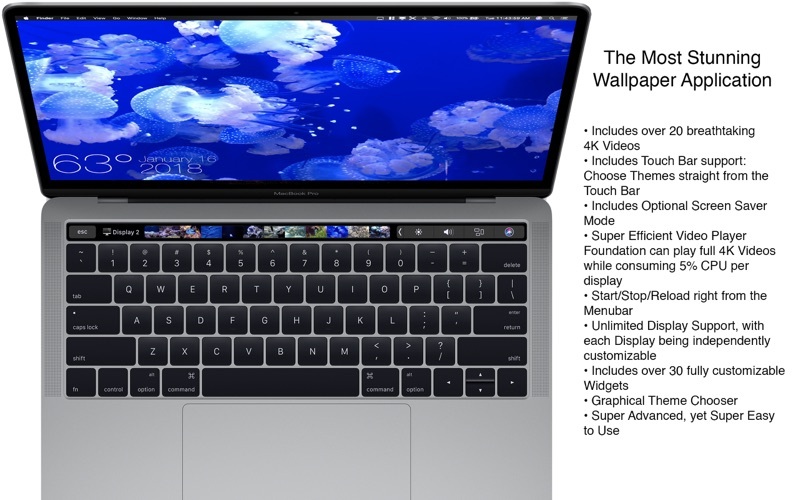 4K Videos include a huge variety of exotic fish; including: Sting Rays, Jelly Fish, Cat Fish, Clown Fish, Lion Fish, Sea Horses, Alligators, and much more! Also visit a variety of locations around the world the Great Barrier Reef, the Bahamas Barrier Reef, Thailand, and more. 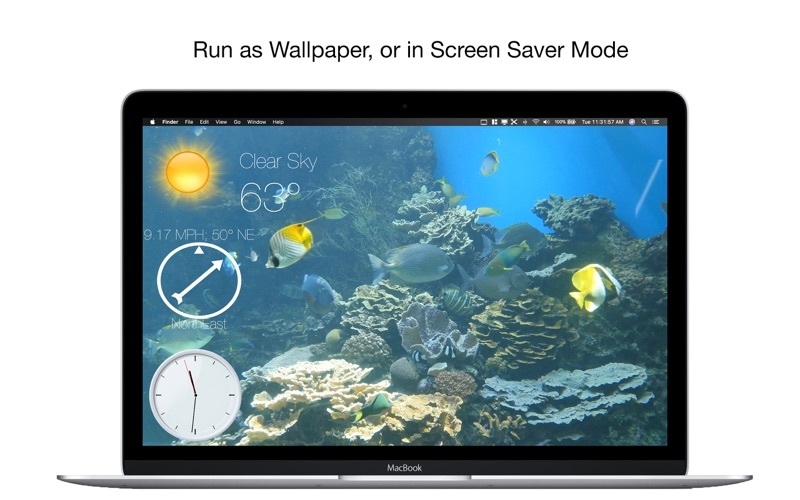 And if you’re going to be away from your computer for a while, Aquarium 4K includes an optional Screen Saver Mode! 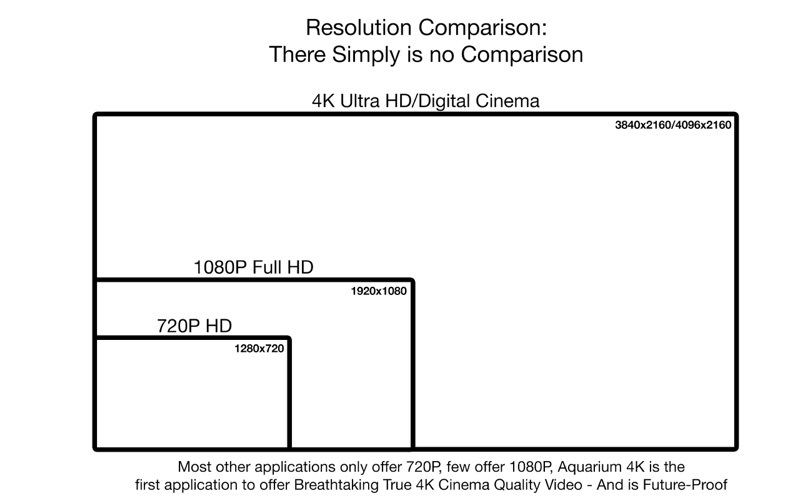 Aquarium 4K also features a super efficient video player foundation that can play full 4K videos while consuming on average 5% CPU per display; so it’s not only insanely beautiful– but ridiculously efficient as well.